Whether you're a programmer or a tester, the Droid Explorer tool will make your life easier when it comes to developing or testing applications for Android. The Droid Explorer tool is the kind of tool that has everything you need - it's like a bundle of applications gathered in a one big app. I'm using Droid Explorer for testing purposes and I am very pleased with the help that Droid Explorer provides when it comes to capturing screenshots, recording the Android screen and recovering crash logs. * Optionally: Rooted Android Device with busybox (I've listed this as optionally, because I've used Droid Explorer with 3 unrooted devices and it worked like a charm). 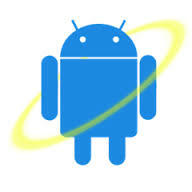 The Droid Explorer tool relies on the Android SDK, therefore this is a requirement when installing. Also, the best part of installing Droid Explorer is the fact that the wizard allows the download and installation of Android SDK automatically, in case this is not availble on your computer. If you already have the Android SDK installer, then you must specify the path to the SDK. Once the installation of Droid Explorer is completed, you need to make sure that you have the proper USB driver cables. 4. Once you have opened "Developer Options" tap on the On / Off control to enable / disable the "Developer Options"
Now that your device is configured for debugging, you will have to connect it to the PC via the data cable and start Droid Explorer. Once Droid Explorer starts, the Select Device screen appears. Here your device should be listed and and you should select it by double clicking it. If your device is not listed, you can use the "I don't see my device" option. If you have any questions about Droid Explorer, please feel free to ask away in the comment section :).